Various accommodation options – from the modern Grand Hotel Primus with the best wellness facilities for miles around and the thermal camp. All types of accommodation include admission to the thermal park. Like the heroes of ancient Rome, the heroes of the modern world – although used to the fast pace of life – sometimes need a bit of rest and enjoyment. Terme Ptuj and its surroundings offer everything you need for active regeneration! Take a vacation for a fresh motivation. Retreat into the world of beauty and wellness. Recharge your batteries in the comfort of the thermal springs. Stay active to prepare yourself for the challenges of everyday life. Terme Ptuj: a perfect vacation for a fresh motivation! Pampering or activities to improve your physical condition? At Terme Ptuj we say: Both! Counting your swimming strokes in the water park and basking in the Ptuj thermal water. Golfing and sauna sessions. A morning run and a relaxing massage. 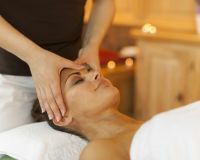 Yoga and a rejuvenating treatment. Cycling and reinvigorating baths. At Terme Ptuj, we know that, like the heroes of ancient Rome, modern-day heroes – used to the fast pace of life – swear by active regeneration. Visit us and find new strength to keep up with everyday life. Bask in the warmth of the world of saunas, pamper your senses in the wellness centre, experience natural rejuvenation, or lose up to 2.5 cm with a single treatment. Time for yourselves is the best gift you can give. At the Grand Hotel Primus, we will always put you first! You are just a walk away from the oldest town in Slovenia. Discover its impressive history! Our chef swears by fit gastronomy, while our entertainment coordinators can tell you that staying active every day keeps the doctor away! Swim and splash around, relax and enjoy the bubbles in the massage pools, or test your courage on the waterslide. Ranked third among Slovenia's best large thermal water parks in 2018.